For 2017, Bizer is releasing a 21" x 31" map of the Lakes Region. This new map would be perfect to hang on a wall in your house. The map is 21" by 31" and can be purchased in paper or laminated. The paper map, which has an price of $9.95, may be framed. The laminated map, which has a suggested price of $18.95, may be displayed on your wall without framing. Regardless of which format you choose, we hope you enjoy Bizer's quality maps of the Lakes Region. Click here to see an enlarged version of Bizer's Lakes Region map. Version nine (2015) of Bizer's chart for Garmin is NOW AVAILABLE for devices that use Garmin's BlueChart technology. Go to http://bizer.com/garmin for specifics, pricing, and ordering information. ** We now have Winnipesaukee pre-loaded onto Garmin DataCards, SD cards, or MicroSD cards. Buoy and rock positions that have been measured with GPS surveying satellites to place buoys/rocks in their precise location (+/- 35 feet). Bizer continues to have the most precise buoy positions. Other maps of these lakes place buoys in their approximate position and are as much as 550 feet in error. Almost four times as many charted rocks as other charts. Bizer continues to have the most accurate depth information of Lake Winnipesaukee and Lake Winnisquam. All known areas less than six feet deep are marked in blue. Since 1996, only three boaters have shown us a shallow area less than five feet deep that we overlooked. This information is vital to a navigator as most boats have a draft less than five feet. This feature is not on any other chart of these lakes. Bizer has accurate latitude and longitude grid markings for use with GPS or LORAN. As a service to our customers, the back of Bizer's folded Winnipesaukee chart has a list of 250+ waypoints with their latitude and longitude. U.S. Geological Survey map accuracy standards are that 90% of all data points (including buoys and rocks) be within 0.5 mm (1/50 inch) of their true scale location. Only Bizer meets those standards. Navigating on Lake Winnipesaukee is similar to navigating on the ocean as well as most other lakes. Lake Winnipesaukee has shallow sandbars and treacherous rocks just like everywhere else. This is why we decided to make our chart similar to other marine charts. 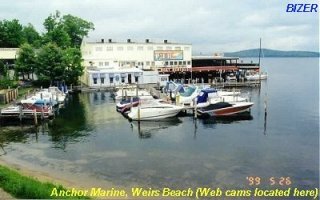 See our news page for changes / additions / corrections to our chart of Lake Winnipesaukee. How high is Lake Winnipesaukee? Bizer has a link to USGS daily statistics. Also featured are Bizer's weekly statistics as well as a graph of the last twenty years. 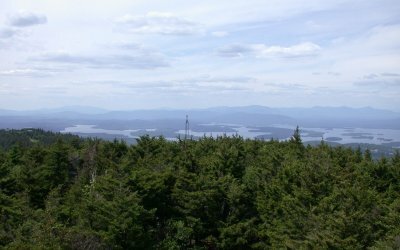 How many islands are there in Lake Winnipesaukee? Bizer has started to compile a list and we invite you to share any news that you have on this topic. Our eleventh edition chart is available NOW. You can order directly from BIZER if you're paying by check. 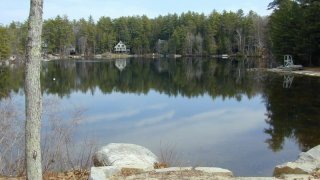 With a credit card, you can order our charts from winnipesaukee.com. We have a page devoted to the enhancements, and corrections to our Winnipesaukee chart. Bizer's chart of Lake Winnipesaukee is available for sale at most marinas around Lake Winnipesaukee. It is also available at many book stores, gift stores, and bait & tackle shops. To find your nearest dealer of any Bizer product, call 1-617-413-3940, email us at winni@bizer.com, or you can buy charts here. 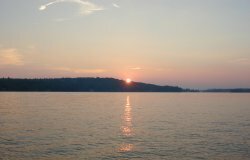 BIZER has compiled a list of LAUNCH SITES around Lake Winnipesaukee. HUNGRY? Here's a list of RESTAURANTS and GROCERY STORES accessible by boat. Bizer has compiled a list of hotels & motels that have docking for guests. 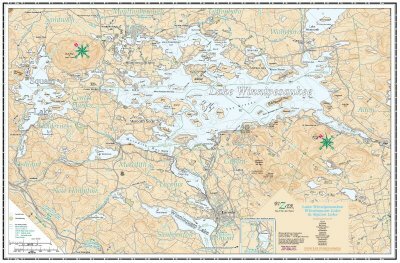 We invite you to observe some of the differences between Bizer's chart of Lake Winnipesaukee and other maps. 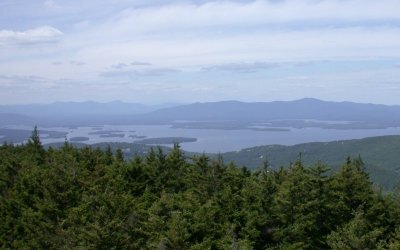 Here's a link to www.winnipesaukee.com, a source for various information about Lake Winnipesaukee. The New Hampshire road tax of eighteen cents per gallon is refundable to those who can show that the fuel was consumed in a boat or other off-road vehicle. This page has a downloadable copy of the refund forms for you to complete. Bizer has been using GPS on Lake Winnipesaukee since 1992. We get many questions and we have some products specifically designed for your GPS. See our GPS web page. This page also explains our waypoint file and other electronic forms of Bizer's chart, including the C-Map chip to go into your GPS chart plotter.